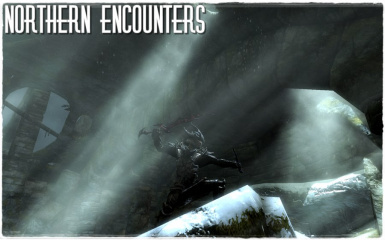 Adds 150 new encounters to the Skyrim. Mod for those who love to explore and find new content. Added meshes, fixed textures. Cleaned. Scripted Eduard quest instead of using "start game enabled" because of a bug in Skyrim. Fixed known problems, such as Waldemor disappearing. Removed unused scripts, decreased number of mapmarkers and cleaned with Tes5Edit. This version requires official DLC Dawnguard & Dragonborn and Official Update. Also spanish translation available http://www.nexusmods.com/skyrim/mods/68375/? 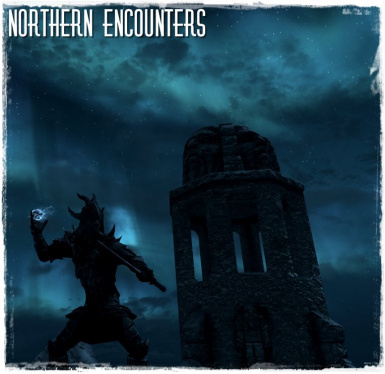 == What is Northern Encounters ? Mod adds 150 encounters, mostly to the north (Sea of Ghosts area). This mod is for those who love to explore and find new places. Mod also extends lore and adds storylines to follow. Also lots of unique items and tough new enemies. 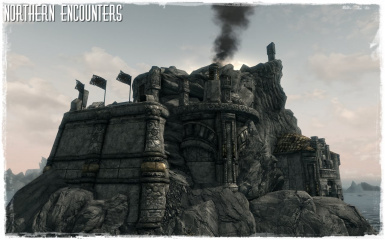 Mod has many storylines, following them will lead you to adventures all across the Skyrim. Check video for more information. It can take hundreds of hours to find all encounters and solve all storylines. This mod isn't easy, it will not display objectives and show on map or compass where to go. Many encounters are linked to each other, so finding one may take you across the Skyrim to look for the other. Mod is lore friendly and it also extends the lore. For example faith of the Dwemer. It also ties vanilla NPCs to storylines, making some of the "not so important or interesting" NPCs main characters for certain happenings. Best place to start is the Nightgate Inn. 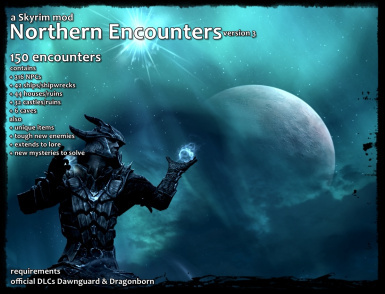 Because this mod adds such a huge amount of encounters to the most northern parts (especially to the Sea of Ghosts area) all other mods that add content to same area may conflict. There practically isn't free space left. After installing/uninstalling this mod select SAVE (not quick save) to make a new save and then LOAD (not quick load) the save you just made. This way all unused refs are removed from the current saved game.